This fantastic new Good Grips Wine Stopper & Pourer combo from Oxo is an oenophile's dream! This dual function gadget allows you to seal the bottle for short-term storage or pour drip-free. 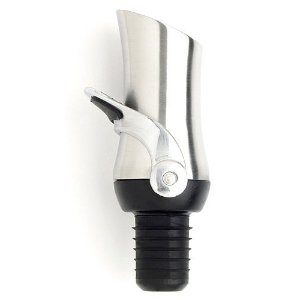 It allows for even wine flow and is made of durable stainless steel.